When you want to revamp the way your home looks and feels, reliable interior design and remodeling services are a must. For your Naperville home, choose The Kitchen Master. We’re a full-service kitchen and bathroom remodeling company that has served Naperville residents and homeowners in Illinois since 1977. Our team is committed to creating interior home designs that improve the way your home functions, and we specialize in creating unique, eye-catching kitchens and bathrooms. We’re Naperville’s top choice for kitchen and bath remodeling, cabinet refacing, and so much more. We’re proud to stay up-to-date and informed on the latest design trends and technologies, which allow us to provide you with great designs that are developed to your specific needs. If you’re considering a kitchen or bathroom renovation in the Naperville area, call The Kitchen Master today for a free consultation! At The Kitchen Master, we know that every client we work with has their own individual style and ideas for what they want their home to look like, and our team will work with you to help design and build the space you’ve been dreaming about. We have a team of skilled, professional designers and craftsmen who can bring your ideas to life, and we work hard to stay within your preferred deadline and budget, ensuring your project is completed exactly as we promised. Ready to get started on your kitchen renovation in Naperville? Contact The Kitchen Master today! 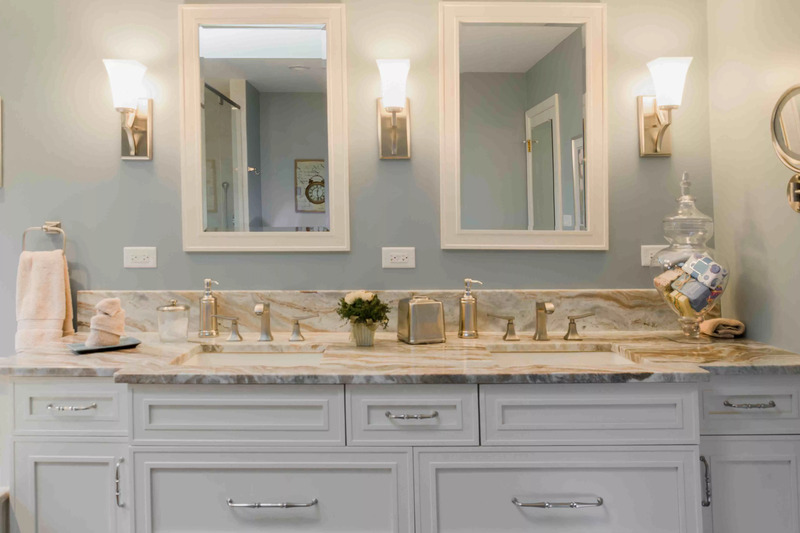 If you’re ready to take the first step toward your dream bathroom, contact The Kitchen Master today and schedule your free design consultation. We’re excited to get to work on your Naperville home, and we want you to be excited, too! Check out our gallery or visit our 4,000-square foot showroom to get design ideas and see examples of our previous work. To schedule a free consultation or to find out more about the work we do in the 60540 area and beyond, contact us today!